SinBala. Oh how I love thee. If you want good authentic Taiwanese comfort food, then this is the place to go. Keep in mind, the place is small. The room in the back has a sign that says their maximum capacity is 25. 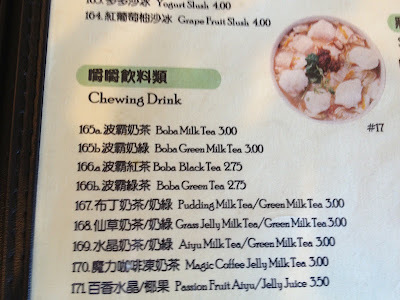 Best part is it's open til 10 p.m.. And complimentary Chinglish menus bring Taiwan to you. 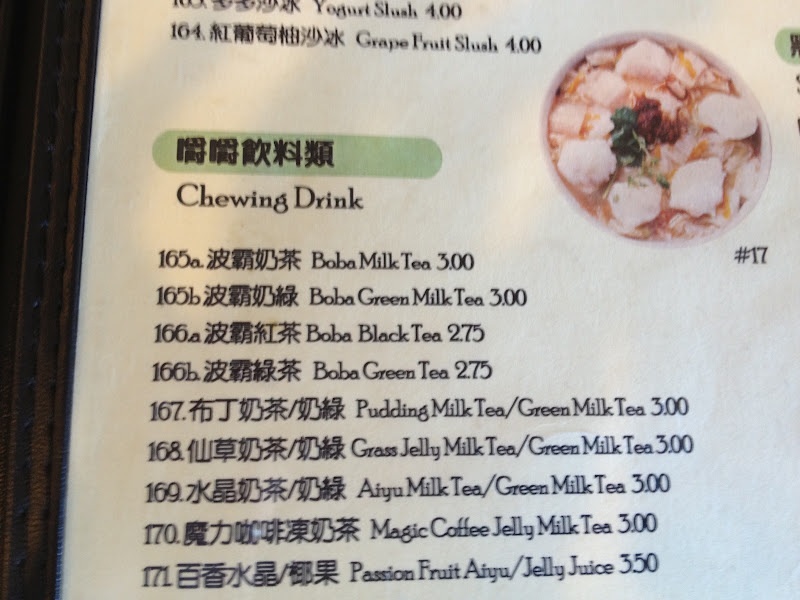 Would you like a Chewing Drink? Why, yes. I would. Thank you. 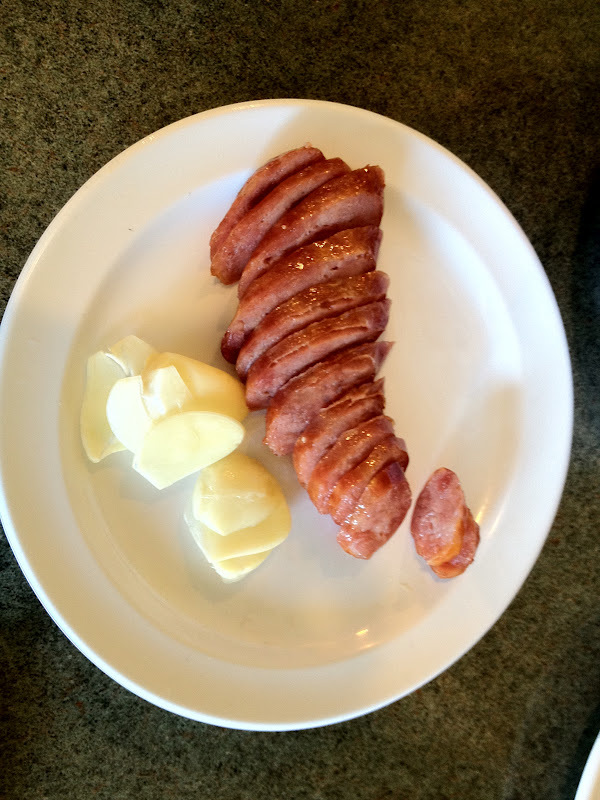 And Taiwanese sausage with sliced garlic cloves. It gives it the sausage a spicy kick when you eat it together. I even bought their famous sausage rice with eggs and veggies home. It was delicious! Duck grass noodles. Not my favorite, but the noodles were of good quality. Oyster Pancake. Yum. They do a really good job at this. I always have to get this at Taiwanese places to gauge how authentic the place is. 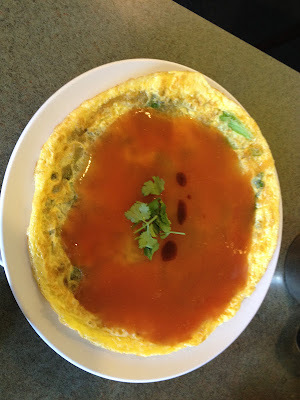 Plus, this dish is the only dish I can order in Taiwanese so I got to practice. Service was lightening fast. Had all the dishes within 3/4 minutes. Loved it. Reminded me of Taiwan. Sinbala, you have my seal of approval. P.S. Their shaved ice is good as well. Not THE best I've ever had but yummy nonetheless. I can live off their oyster pancake and sausage rice all day.